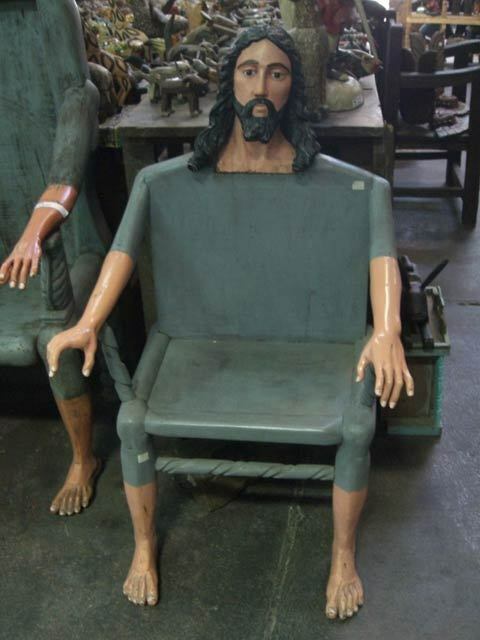 Jesus would like to remind you that it's a day of rest, so have a seat. I think I'll replace all my chairs with these. That won't be weird, will it? Oh my..... I have always wanted to sit on Jesus' lap. And now I can. You will be nominated for sainthood. After you die a horrible death, of course.